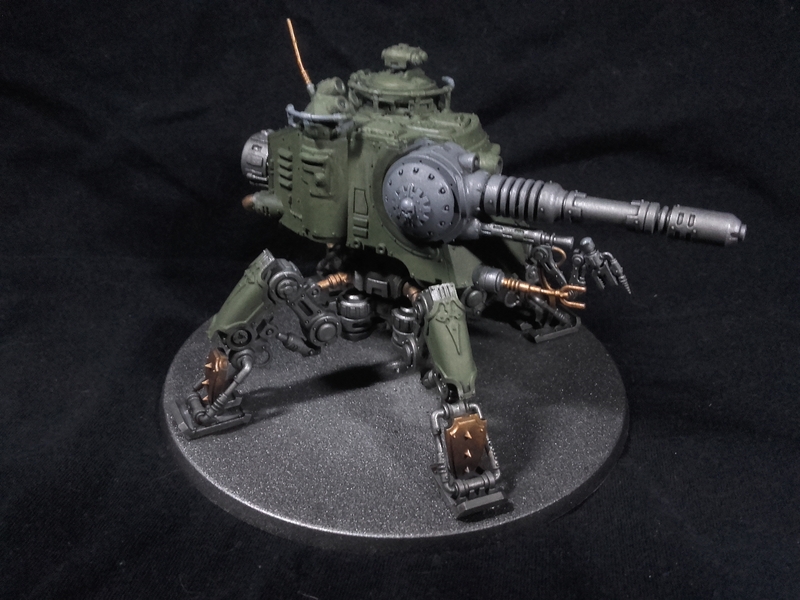 The Forges of my AdMech force continue to turn out troops at a good rate. Despite being away for most of last week and sick the rest I got some work done. 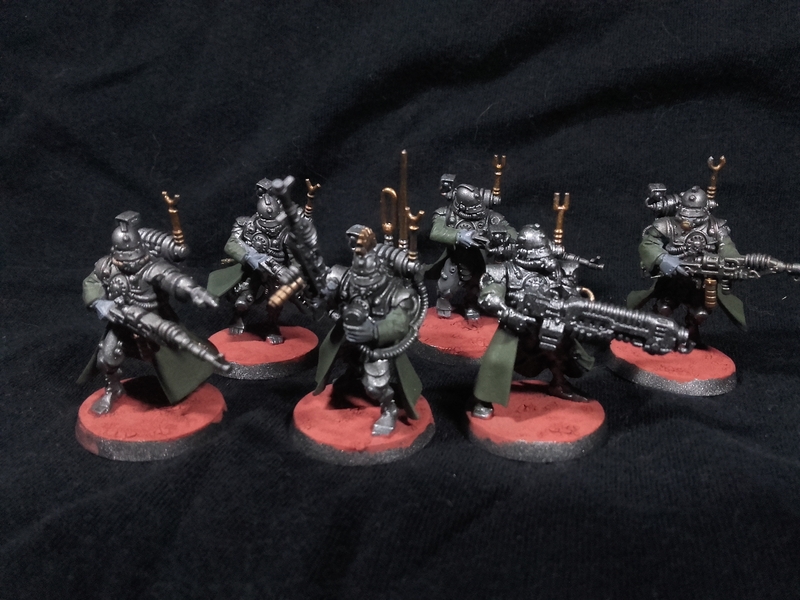 A small unit of Vanguard with a plasma gun (or whatever the AdMech name for it is) was a nice start. Like the rangers they were fun models to put together and pose. The backpack was tricky, with the vox connector. I am sticking with the same style as my Rangers. Next up was a heavy hitter, so an Onager with a neutron laser was a no brainer. The definition of heavy hitting. 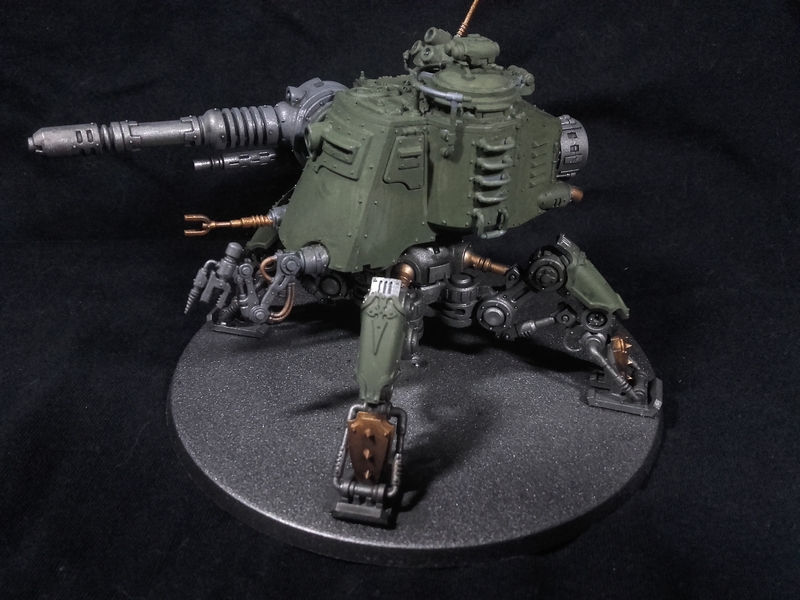 Plus I want three of these clanking monsters in the army anyway. Starting to think my opponent for the Alchemists Workshops Tale of Two Warlords isn’t taking my army seriously.